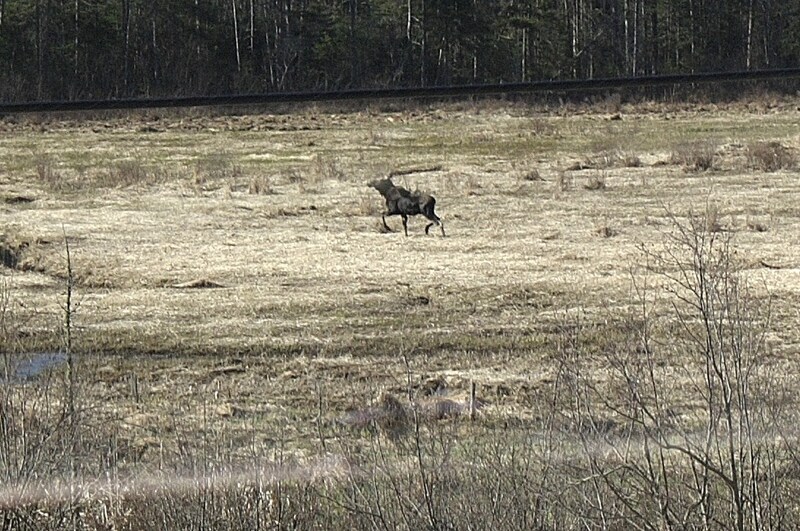 This young bull moose was gallivanting all over Barton Village last week. Then he decided to come up here. He crossed the road from our land on the mountain side of the road and went through the beaver bog to the woods on the other side. He is probably now around May Pond or Willoughby Lake. These photos were taken on a sunny morning through the glass of the sun porch windows. 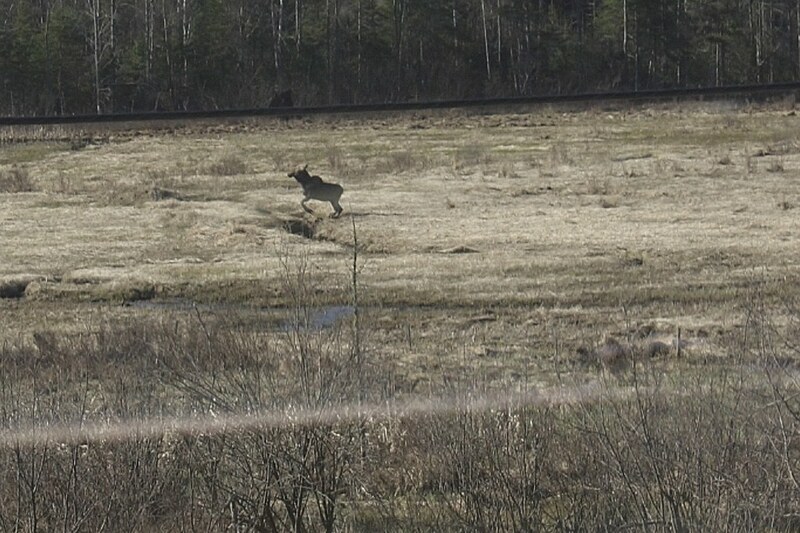 I am most proud of the photo below showing the moose jumping a stream in the bog. There was no skill involved in this, just pure luck. I'm glad the moose came by during John's first week here because no "outside people" believe me about the number of moose in the area (the NEK is over-populated with moose). Click on either photo to see it full size in a new window. How awesome! I've never seen one in person.